Captain Charles Ludwig Kasper, and his wife Margaret, were among the early settlers on our peninsula. This vignette tells of some aspects of their life in our area, and their association with our community. It also touches briefly on the activity of some of their children … much of that activity being very much inter-related with the activities of Charles and Margaret. In writing our tale, our work has been greatly facilitated by the publication, on 26 April 2014, of the monograph entitled ‘Pine Grove: The Kasper Family of Mahurangi’, compiled by Sharryn McLaughlin and Joanne Kasper. Sharryn very kindly has given us permission to copy freely from their work, and has provided us with a large number of interesting and useful photographs, and many items of information. She also has enthusiastically worked with us in resolving a number of historical uncertainties that have cropped up in the course of the research we ourselves have undertaken. We gratefully acknowledge these considerable contributions. Their generosity not only has saved us from having to undertake some of the self-same in-depth research which Joanne and Sharryn had undertaken, but (because of the wider focus which they had in authoring the book) they have allowed us to get a ready appreciation of the context in which the family’s presence in the Mahurangi area took place. Some of the authors’ offerings also have allowed us to enhance the content of a few of the other vignettes in our series. In this vignette, save where otherwise stated, all photos were supplied to us by Sharryn McLaughlin. Copyright in most of these remains with the applicable Kasper family members. However, a few of the images supplied by Sharryn, while in the ‘Pine Grove’ publication, were sourced from the Clifford Hawkins Collection. Where we are aware this is the case, we’ve acknowledged that source. 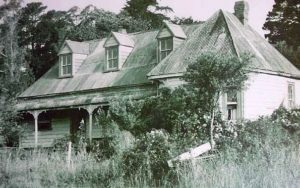 In 1863, the patriarch of the family, Captain Charles Ludwig Kasper, and his wife Margaret, established their home by the shores of the Mahurangi Harbour, on Scotts Peninsula. Their property was known as ‘Pine Grove’, an area which the Kasper families farmed for some 60 years. Over the course of their marriage, Charles and Margaret had eight children, and with the succeeding generations, the size of the wider Kasper family multiplied considerably. 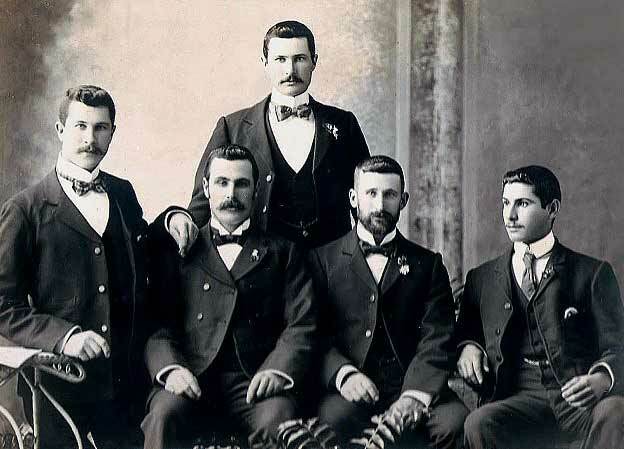 Captain Kasper and three of his five sons were master mariners. 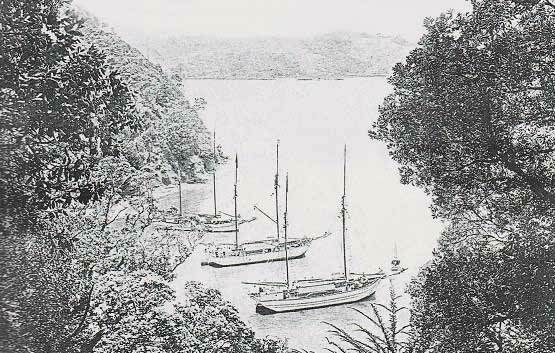 The Kasper families’ fleet of cutters, scows and other vessels (including, for two ownership spells, the ‘Jane Gifford’) were a common sight on the Mahurangi Harbour. We understand that at one time, the collective fleet was the largest in the wider Auckland area. At the time of writing this article (in mid-2014), sixteen members of the Kasper family (and the associated members of the Lawrie family) had been buried in the cemetery of the old Mahurangi Heads Presbyterian Church. This tally includes the patriarch of the Kasper family, Charles Ludwig Kasper, and his wife Margaret. The remembrance headstones for many of these deceased persons are placed within the Kasper family plot at the cemetery. Charles was the son of Friedrich and Juliane Kasper. He was born on 13 December 1832. He was christened ‘Cardel’ Ludwig Kasper. His birthplace was the city of Memel, Prussia. Nowadays, Memel is known as Klaipeda, a coastal city in Lithuania. Family documentation mentions that Charles (as he came to call himself) first joined a merchant ship at around 14 years of age. There is no known record as to how Charles made his way to New Zealand, but quite possibly he worked his passage here. 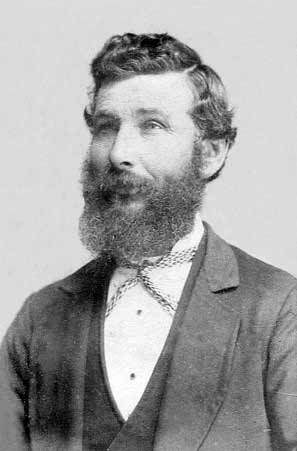 According his naturalisation papers, he arrived in New Zealand in 1859, then aged about 27. As the authors of ‘Pine Grove’ point out, the young Charles was superbly equipped to handle life in New Zealand, both as an early settler and as a mariner. He became a ‘cutterman’. 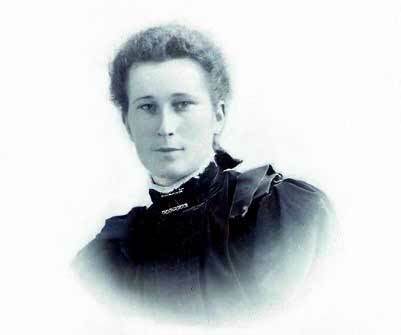 Turning to Margaret Ann Johnston(e), she was born in Port Lincoln, South Australia, in 1839. Her parents migrated to New Zealand when Margaret was an infant. They arrived here around 1841. In April 1863, Charles married Margaret Johnston. She was the elder sister of Elizabeth Jane Johnston(e), who later (on 12 October 1864) became the wife of early settler James Lawrie. Should you wish, you may download a .pdf file containing a copy of the Lawrie family chart which we created. It shows how the Lawrie family inter-relates with Margaret Kasper, her parents (including step-father) and sister (who became Elizabeth Jane Lawrie). But, understanding where and when that Kasper marriage took place required us to undertake some mental gymnastics. 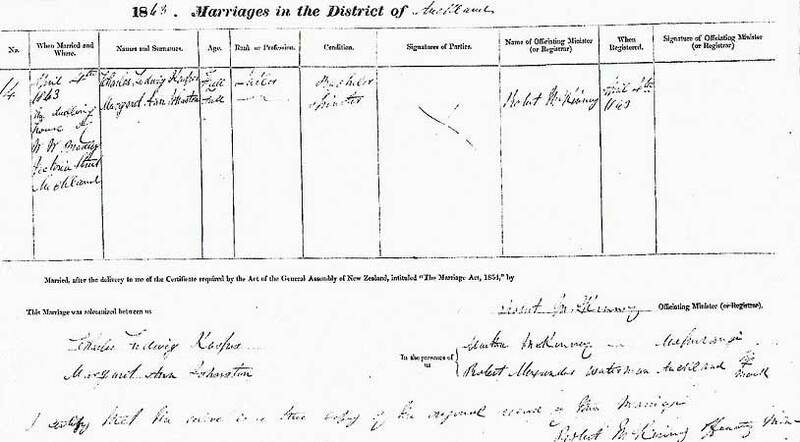 The following two documents show the couple to have been wed in Auckland, with the Mahurangi Parish’s Rev Robert McKinney officiating. McKinney’s signature attests to this. 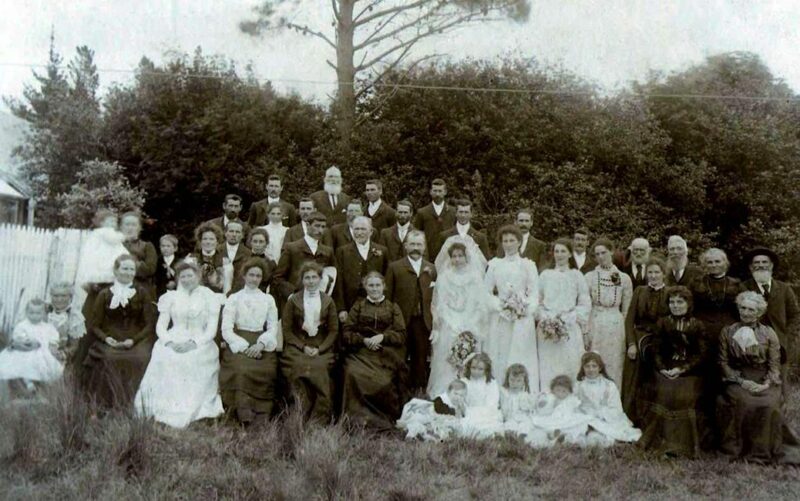 We eventually surmised that Charles (who was then living in the Mahurangi area) was a Mahurangi parishioner, and that Rev McKinney (who was a minister of the Presbyterian Church, and based in the Mahurangi area) was cajoled into conducting the marriage in Auckland. The church registration of the marriage then was effected in the records of the Mahurangi Parish. 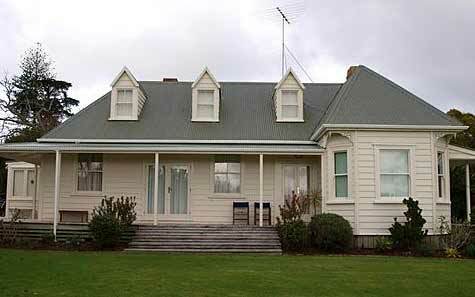 At the time of his marriage, the property on which Charles was living was land located on the shores of the Mahurangi Harbour. It had been acquired by Margaret’s step-father, John Parker. Parker had married Margaret’s mother, who earlier had been widowed while pregnant with Margaret’s younger sister, Elizabeth Jane. 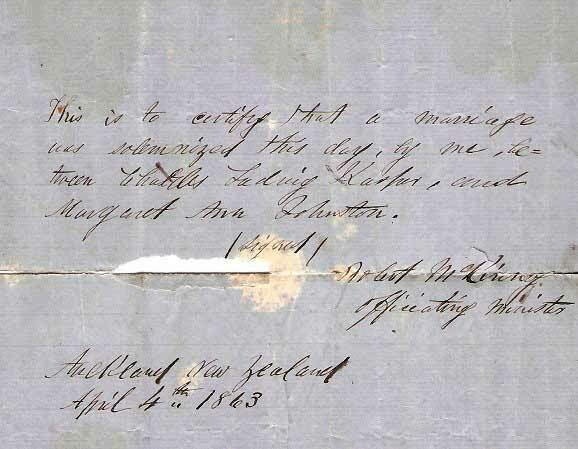 Change of title was registered on 1 March 1863. from William Dyer, to whom the Crown had granted a large tract of land running right up to the main road [Mahurangi East Road]. 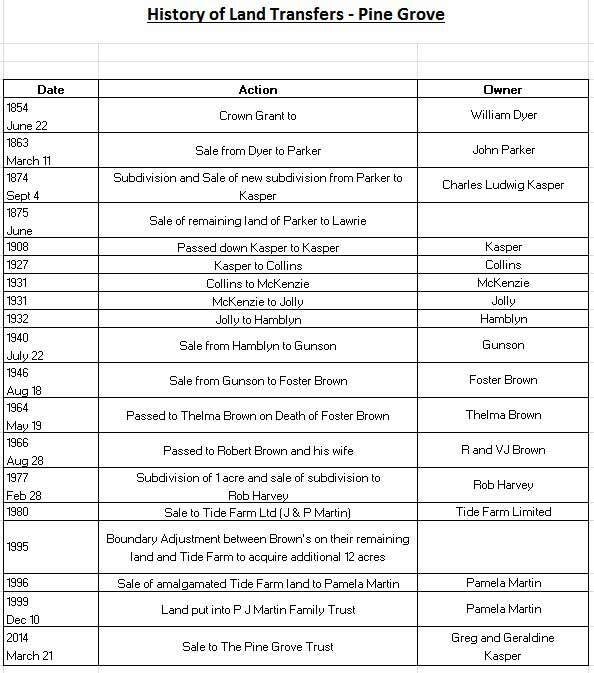 We have not researched what acreage John Parker acquired, but the Kasper family have established that it was substantial. We suspect that prior to change of title being registered, Parker already was renting or had secured occupation of the purchased land, and had constructed a dwelling of some kind on that land. Charles and Margaret made their marital home on John Parker’s property. It seems very likely that they lived in the Parker house for a while until a separate dwelling was built for them on the Parker property. At the time Parker acquired the land, the only practical access to it was by boat. We’ve been told that at some stage, there was a long wharf in front of the property. This statement is consistent with our knowledge that over the succeeding years, several members of the fast-expanding Kasper family had a fleet of boats. That fleet included cutters, scows, schooners and ketches. 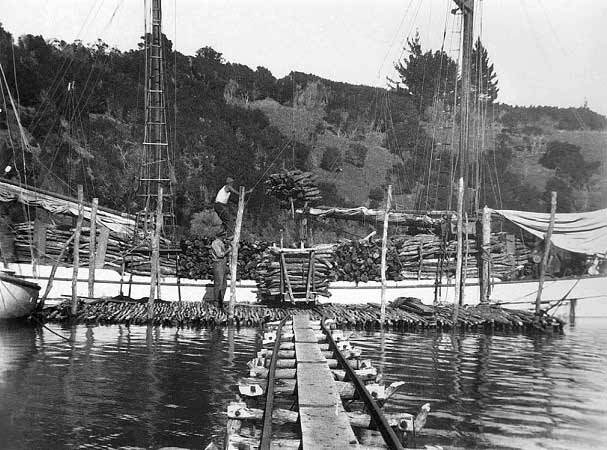 The waters of the upper Mahurangi Harbour provided a convenient anchorage for these vessels. From time to time, many of the ships would have ‘dropped off’ local passengers. 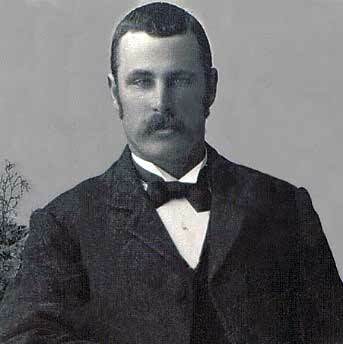 In 1874, John Parker sold a 12 acre portion of the farmland to Charles and Margaret. Charles and Margaret gave their acreage the name ‘Pine Grove’. The original name reflected the fact that Charles had planted different varieties of pines on the land, to remind him of his homeland, Prussia (as it then was). It was on this area of land that, at some stage between the mid-1860s and the mid-1870s, they had built a dwelling. Many years later, from at least from 1980 to, perhaps, early 2014, part of this property was referred to as ‘Tide Farm’. Nowadays, the ‘Pine Grove’ land area has been re-consolidated as the original 12 acres. Its new owners (a Kasper family trust) have formally renamed the property ‘Pine Grove’. A year after John Parker sold the 12 acres of land to Charles and Margaret, he sold a further 12 acres of farmland to James and Elizabeth Lawrie … here you’ll remember that Elizabeth was Margaret’s sister. In later years, as John Parker became physically less able to manage his farmland, he transferred his remaining land to his two step-daughters (and their respective husbands). With Charles sailing between Mahurangi waters and Auckland on a daily basis, it made sense for him to also have a house there. That house was in Ponsonby. Some of the children were born in Ponsonby, and the older boys went to a school there. It seems the general rule was that Charles would run his boating business from Auckland, and then would endeavour to be home at weekends. Margaret ran the farm. 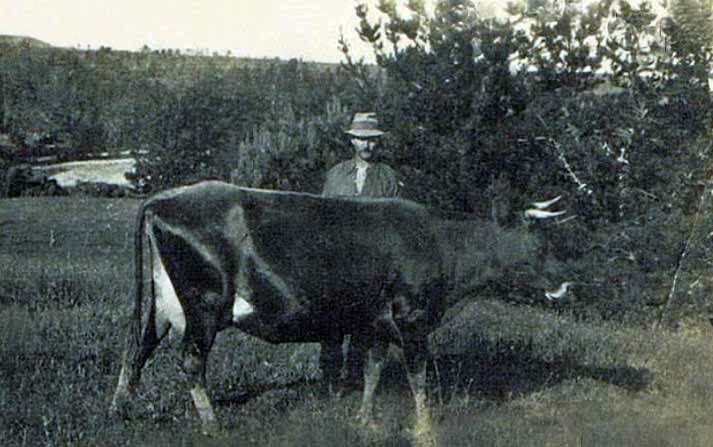 Of course, Charles and Margaret needed to have cattle … and here’s a picture of one of their animals on the property! The authors of ‘Pine Grove’ report that, subsequently, in the 1920s, the orchard reportedly was struck by Fire Blight, and completely destroyed. To raise revenue, all the trees on the property were felled and used for firewood. In the course of our research into Capt Kasper’s life in the Mahurangi area, we came across reports in three February 1868 issues of Daily Southern Cross newspaper, which had reported in some depth the proceeds of a court hearing on the wrecking, in Auckland Harbour, of Capt Kasper’s clipper, the Clyde. The hearing was held over three days; the reports are in the issues of the paper published on the 8th, 9th and 13th of February. The 3-part report may be accessed via the National Library’s Papers Past collection. Collectively, the reportage of the court hearing makes for a wonderful read … it almost is as if one was viewing the screen takes for the 1954 film ‘On the waterfront’, starring Marlon Brando. You can sense the court room tension that would have prevailed. While you ponder the rights and wrongs of the way the parties acted through the course of the incident, you would be excused if you found yourself imagining yesteryear screen stars like Humphrey Bogart and Dirk Bogard in the lead roles of the opposing skippers … but back to our tale! Jeremiah Casey was the owner of that paddle steamer. About 1873, Casey had needed a skipper for that vessel, to pioneer the steam service between Auckland and Warkworth. He had turned to Charles. An article in the issue of the Auckland Star published on Thursday 12 February 1874 waxes lyrical about the Mahurangi Agricultural Show held the previous day [a Wednesday]. The article is instructive as it gives us a sense of ‘time taken’ for travel by paddle steamer from Warkworth to Auckland. This article posed a number of questions for us. 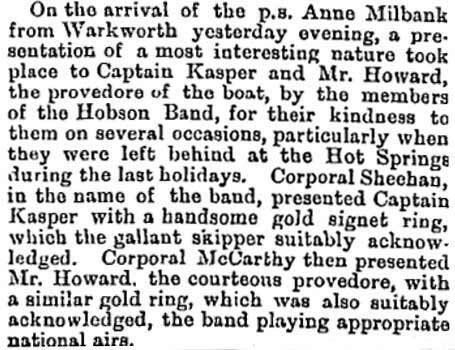 For example: Was Captain Kasper perhaps no longer at the helm of the Lady Bowen? Was there another paddle steamer (the ps Anne Milbank) traversing the Mahurangi waters? 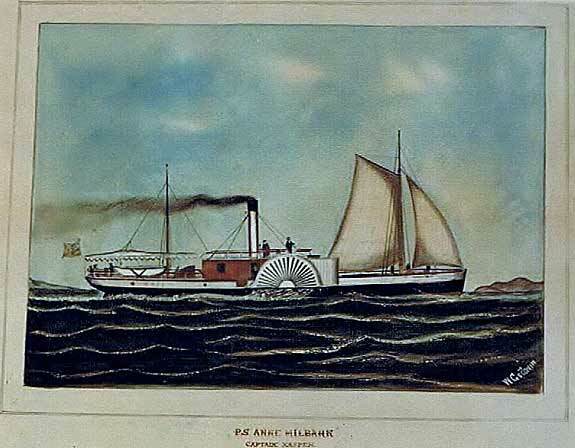 From the rest of the report we gathered that a Capt Aubrey was the skipper of the Anne Milbank at the time of the wreck … or, more importantly for our tale, Capt. Kasper was not in charge of the paddle steamer at the time of the accident. 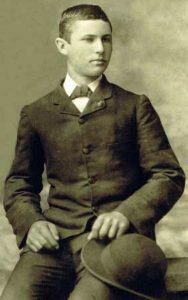 After a spell skippering the Lady Bowen / Anne Milbank, Charles became the skipper of the SS Rose Casey. In 1905, long after Charles had ceased to be the master of the Rose Casey (indeed, after Charles’ death), the Rose Casey found itself sailing in the waters off Southland. There, on 19 September 1905, it got stranded on a sandbar off Riverton. Charles came to skipper other boats owned by Jeremiah Casey. In this way Charles was increasingly well known to the Mahurangi River community. Charles died in 1888, as a result of Erysipilas (an acute streptococcus bacterial infection), which he contracted through a cut on his leg. He left it too late to seek medical help. We’ve previously noted there were 8 children born to Charles and Margaret. Here are a few snippets of information about them. 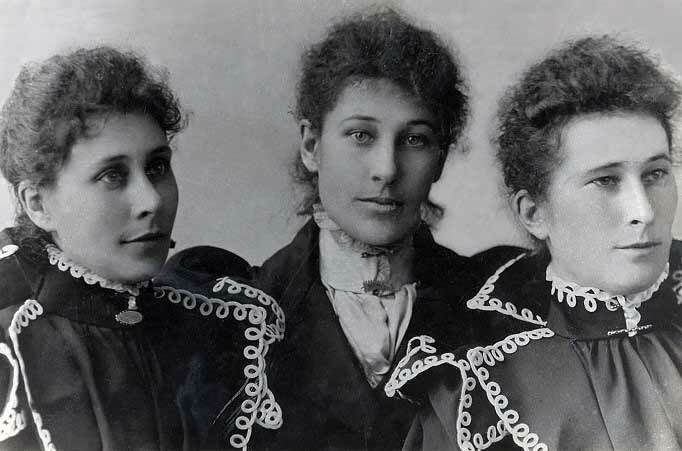 With respect to Julia, Maggie, and Lizzie, we know relatively little about them (other than the usual information one can gather about who they married, and when, and who their offspring were). But as we’ll be talking about their siblings, we thought it reasonable to at least include a few photographs depicting them! Kasper family researchers believe that Maggie was on two occasions engaged to be married, but lost both fiancées (possibly, while they were on active service). In the end, Maggie never married, and after her parents died, continued to live on the family farm with her bother Fred and his family. 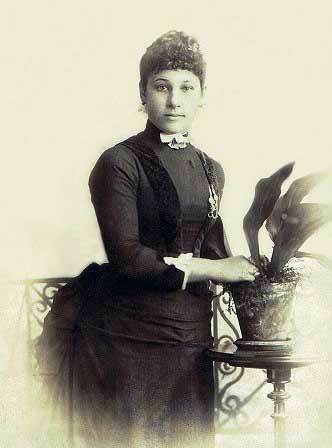 The above photo of Lizzie was taken when she was about 18 years of age. A photo of Lizzie taken (with others) when she was a little older appears below. The photograph below shows you how Lizzie and Maggie looked in their early adulthood. As it happens, that photograph also introduces you to the second born of the Kasper sons. 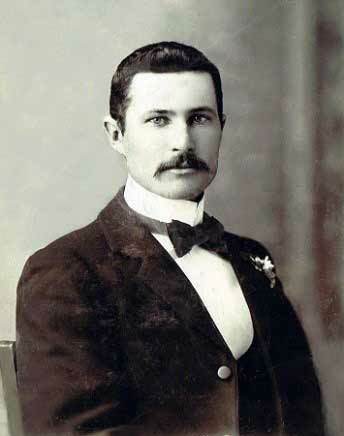 As was the custom in the era when Charles and Margaret lived on the shores of the Mahurangi, the couple had named one of their sons after Charles. He was named for his father, as Charles Ludwig II. He always was referred to as Charlie. Among the images we sourced when creating this article are these interesting photographs relating to Lizzie Kasper’ first marriage, at age 34, on 26 November 1902, to to Finnish migrant Karl Oscar Niuman, aged 40. The wedding certificate records that Karl was a master mariner. The authors of Pine Grove record that Charlie was a publican by trade. Later, they record that when he moved to Taranaki, he held the licence for four hotels in that province. A racing enthusiast, he owned and raced trotters. We learned from the authors of that ‘Pine Grove’ publication that Fred Kasper and fellow Mahurangi resident Fred Dawson used to row their respective Mahurangi punts up the Mahurangi River to Warkworth, to shop. They would row up-river on the incoming tide, and boast about who used the fewest strokes of the oars to get there. Shopping done, they’d then sit on the wharf and ‘yak’ until the tide turned and, and repeat the rowing challenge on their way home. The Dawson’s Creek entrance was the starting / finishing point for their challenges. 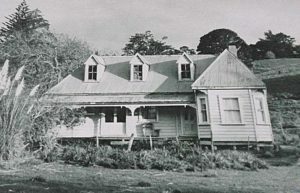 Fred Kasper had always lived at Mahurangi Heads. 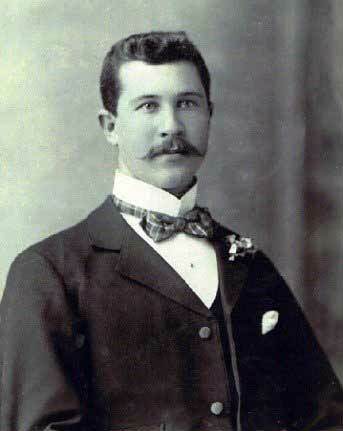 In 1909, Fred married. His wife Annie went to live with him at the Heads. Annie started a Sunday School at the Heads, which she ran each Sunday, walking the long trail to(and from) the school, in all weather conditions. She was focused on winning the children ‘to Christ’s Kingdom’. Later in life she went to live in Warkworth, and went on to buy Bridge House Lodge in Elizabeth Street, Warkworth. Annie became a JP, and involved herself in many local causes, including Woman’s Christian temperance Union, and the Presbyterian Church. 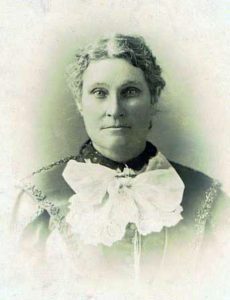 Hugh Kasper’s wife Amy similarly involved herself in the Temperance Union. 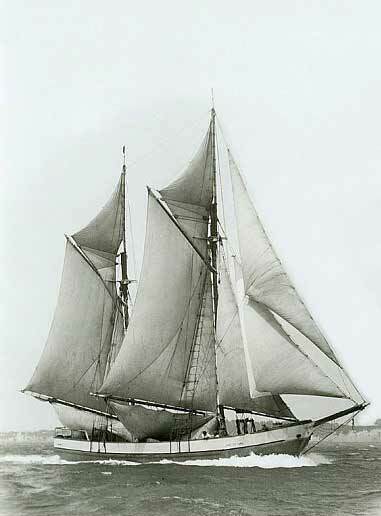 One of Jack’s vessels was a scow named Maggie, which was built in 1902. 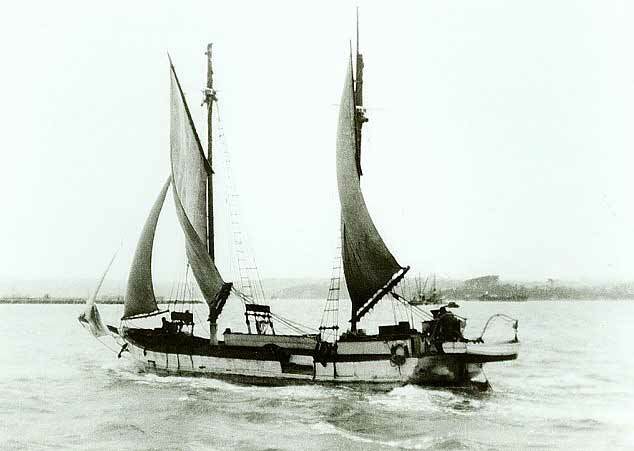 Jack owned and traded using the vessel until 1905 (at which stage he sold it to his brother Hugh). The vessel had dimensions of 62ft 5in, x 17ft 5in by 3ft 2in. Later, in discussing Hugh Kasper, we provide some images of this boat. Another such Schoolhouse Bay image (taken from a different vantage point) can be found in our Burton Wells vignette. 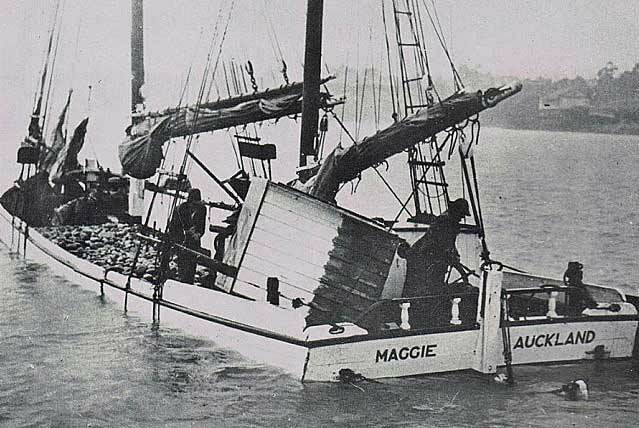 Among the various boats owned by Hugh Kasper, were Thistle (in 1922, and in 1926-1927), and the Maggie (scow, 1905-1920). 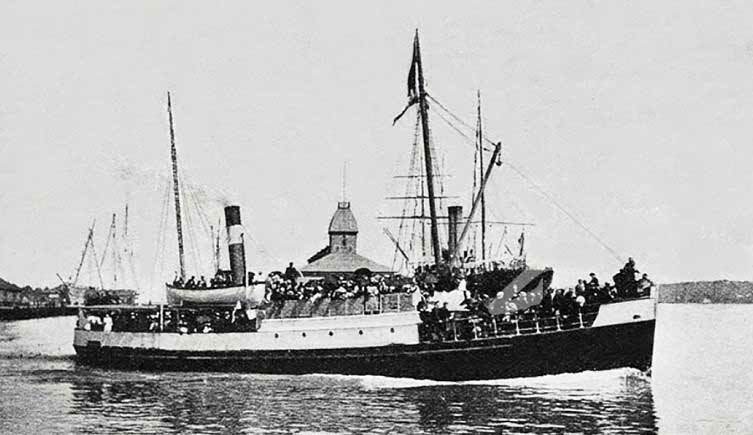 Thistle was built in 1894, by Davey Darroch at Omaha; its dimensions were 61ft 1in by 16ft 7in by 3ft 2in. In the period 1927-1937, Hugh Kasper’s sons Carl and Ron became subsequent owners of Thistle. 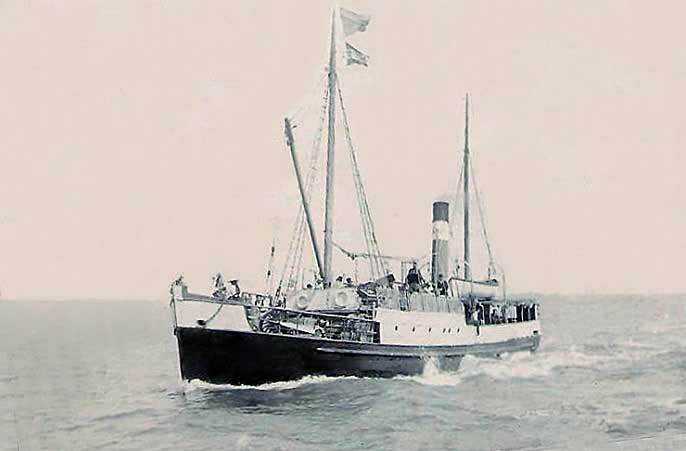 As noted earlier, Hugh’s brother Jack had been the first owner of the vessel Maggie, which had been built in 1902. 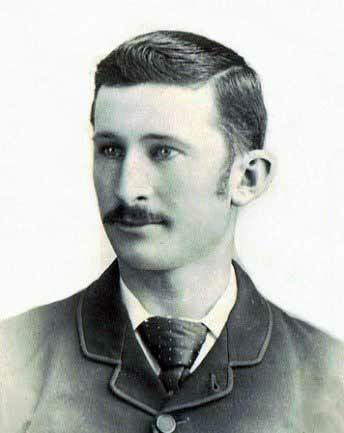 Hugh acquired the boat in 1905. The photograph below shows the vessel being loaded with firewood. The vessel Maggie, in the process of becoming well-laden with firewood for transportation to Auckland. Note the floating raft used as part of the loading process. It isn’t clear when Hugh ceased to own Maggie. However, we know that in 1943, Maggie went to Sydney. By 1945 she was in New Guinea, where she was condemned. Harry had the largest fleet of boats among all the Kasper families. Between 1901 and 1936, he owned (in the aggregate) 14 ships, including eight scows. Among the boats in his oft-changing fleet was Lena, which was built in 1905. It had a length of 45ft 7in. He first owned this during the period 1917-1919, and again later, between 1928-1934. The picture below shows some crew members aboard the craft. 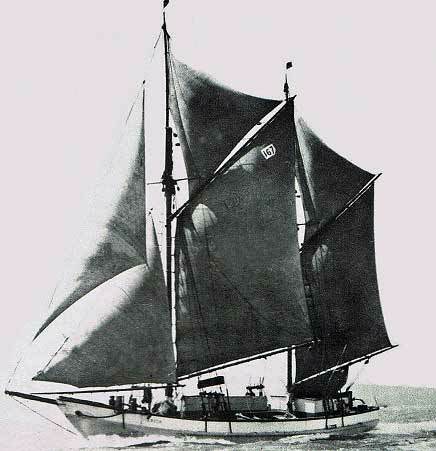 Through the period 1907-1913, Harry owned the scow Edith. A vessel with a length of 58ft 5in. 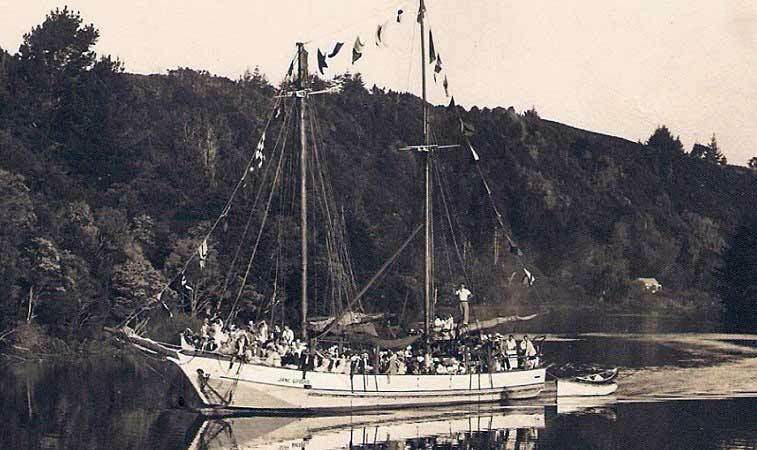 For a short while, in 1921, Harry owned the scow Vesper, which had been built in 1902, and had a length of 76ft 8in. From 1916-1918, Harry owned the renowned scow ‘Jane Gifford’. 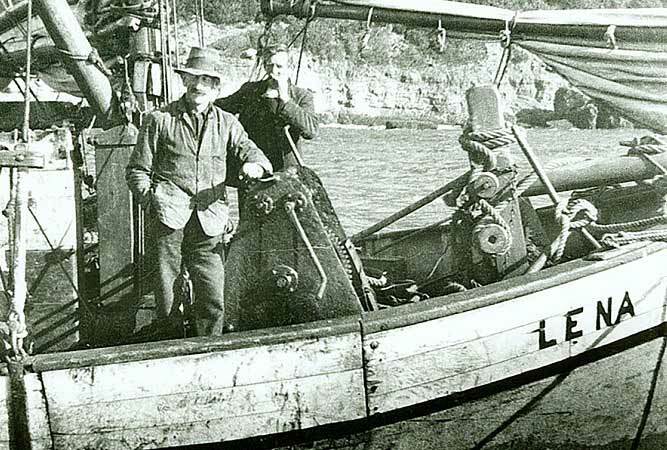 Hugh Kasper’s sons, Carl and Ron Kasper, subsequently owned and sailed the Jane Gifford during the period from 1937 to 1958. Ownership then changed hands a few times, and the condition of the vessel deteriorated dramatically. Eventually, in 2001, the Jane Gifford Restoration Trust acquired the scow’s residual hull. With considerable community involvement (including fund-raising), the Trust restored the scow to its present pristine condition. We’ve been told that the vessel is the last remaining fully rigged scow in New Zealand. 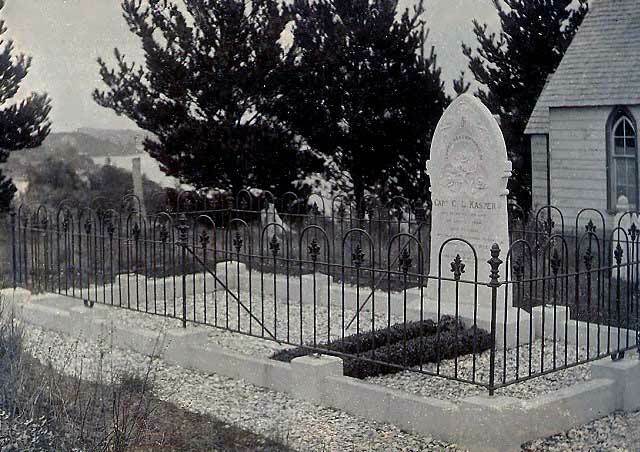 His body was interred at the Mahurangi Heads Presbyterian Church cemetery. The ubiquitous Reverend McKinney officiated. Our vignette on Mahurangi Heads Presbyterian Church includes a photograph of John Parker’s gravestone. 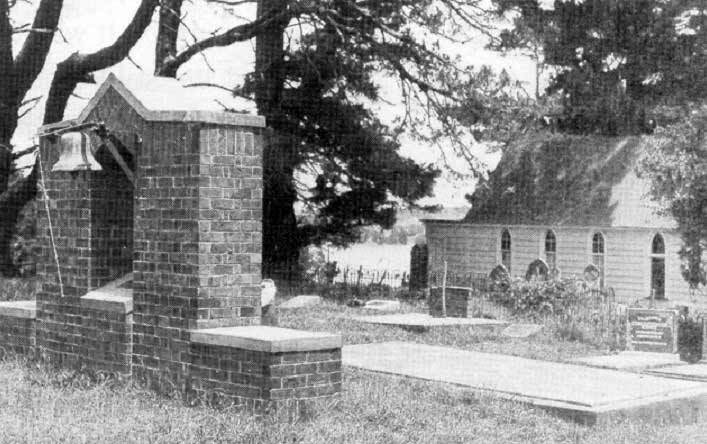 You’ll find another Kasper family burial plot scene on our web page relating to the Mahurangi Heads Presbyterian Church. We now move on to discuss the subsequent dwellings. It seems that at the time the third dwelling (ie: the Kasper homestead) was built, there was an existing cottage on the Pine Grove site. Kasper historians told us that this subsequently was demolished. We confess we’ve learned very little about this second dwelling. However, it seems logical that after the 1878 fire, the Kasper family would have had to fairly promptly establish some alternative accommodation. It may well be (but we can’t confirm) that the cottage was the interim accommodation they built and used as a prelude to the homestead being built and available for occupation. We have many unanswered questions about this dwelling … but they will have to await further research on our part. The third dwelling, the homestead, was a substantial structure, and we imagine it was more substantial than either of its predecessors. That would be logical given the increasing size of Charles and Margaret’s family. Family records indicate that this building was built ‘to the left of the location of the first house, facing the sea’. That observation begs the question as to whether that ‘left of’ is when viewing the property from the land, or from the sea. The original homestead consisted of the kitchen, lounge and two bedrooms. Even today there is a staircase in the kitchen that is made of kauri, and leads up to the attic rooms on top … the ones with the dormer windows. Within a very short space of time, Charles added a hallway, two bedrooms and a front entrance along the side facing the sea. In the context of the present day building, this is the extended part of the building, that juts out at the front … the portion with the nice-shaped windows. Set out below is a small selection of images which give an idea of the appearance of this homestead. The first two images show the property at a relatively early stage of its existence. However, once Fred Kasper had sold the property in 1927, as shown in the third and fourth photograph, the structure of the dwelling progressively became somewhat weathered and jaded-looking. At first glance it may seem to you that this fourth photograph surely can’t have been the building pictured in the previous three photographs. However, if you look carefully, you’ll see clear similarities between aspects of the building (rear view, fourth image, above), and that in the earlier photograph of the homestead (front view, second image, above). Then, looking further at this fourth image, you might wonder why we can’t see indicia of the dormer windows. The consensus of opinion between the Kasper historians and ourselves is that those windows would have been present (on the front side of the house, which is out of view), but they are located very slightly below the roofline (as seen from the angle from which the fourth photograph was taken). 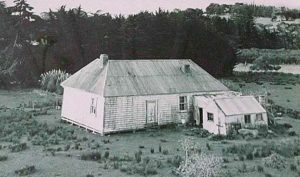 The essential structure and lines of the homestead building (as best depicted in the third of our photographs of the homestead) has subsequently remained the core of the present house that today still exists by the Mahurangi Harbour shoreline. Of course, over time, the building has been extensively modified, extended, and its underlying structure improved. Some of the windows still contain original Victorian glass which is very thin and uneven, and the ceiling in the lounge is hand adzed. A view of the Pine Grove [formerly Tide Farm] homestead as it currently appears Note the fundamental resemblance of the present, much altered house to the general appearance of the Kasper homestead as it appeared prior to its sale in 1927. One of the items of information we had available to us was from a tape recording which Kasper historians have of a senior Kasper family member, Letitia Scotts, talking of a cottage to the left (perhaps, looking from the harbour side of the property, to the right) of the existing house. 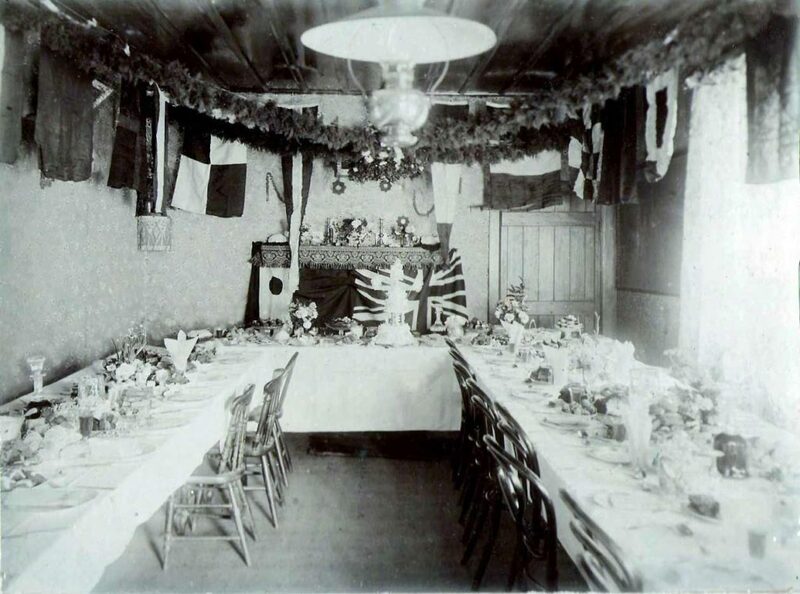 She referred to Lizzie having held her wedding reception there and that photos had been taken on the flat in front of it. She said the cottage facing the sea, and was later demolished. Greg Kasper (who currently occupies Pine Grove) has made available to us a wedding photo that appears to show part of the ceiling within the Kasper homestead (as still preserved within the lounge of the presently existing house). 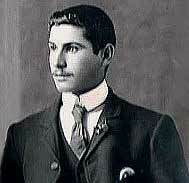 Fred Kasper sold the property in 1927 … with it only returning to Kasper family ownership in April 2014. During that interregnum, the homestead was extensively modified by some of the people who became subsequent owners of that property. One of those subsequent owners was Rob Harvey, who, in the 1970s, initiated extensive additions to the back wing of the ‘main house’. Those extensions included the adding of another bedroom, a bathroom, a dressing room, and laundry. 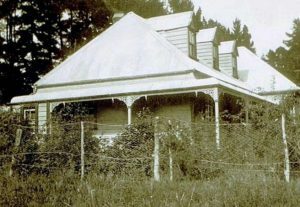 About this time, the original verandah (which had been ‘curved’) was replaced by the ‘straight’ verandah evident in the earlier photograph showing a current view of the Pine Grove homestead. In 2000, the house was completely renovated by Pam Martin. Below is a photograph of the house and its immediate surrounds, as they appear today. 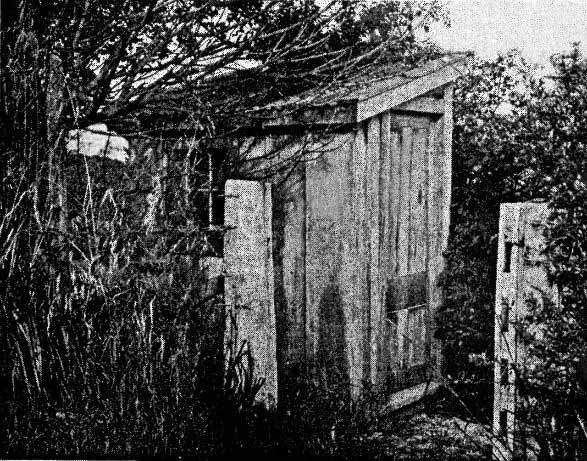 During the period Rob Harvey had owned the property, he had built oyster processing sheds on the foreshore, and commenced a business cleaning and preparing fresh Mahurangi oysters for export. The oyster business closed down in 2004, during the period Pam Martin owned the property. Apart from the old factory canteen and the oyster depuration shed (where, in line with MAF requirements, the oysters were ‘cleansed of impurities’), all the remaining factory buildings on the site were demolished. It seems clear, from the information we’ve learned and copies of documentation we’ve seen, that Charles and Margaret, together with their offspring, collectively became substantial owners of land in the area between the upper reaches of the peninsula and the Algies Bay shoreline. For example, one undated survey map we’ve seen shows 85 acres of Kasper land on the Mahurangi shoreline, and 188 acres of land on the Algies bay shoreline. 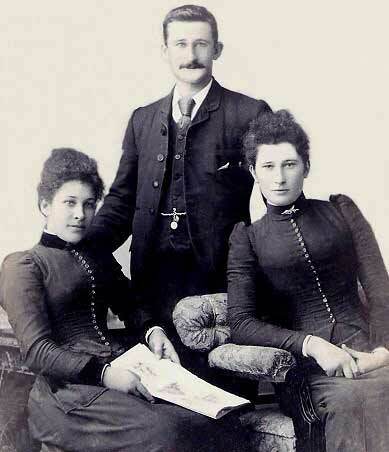 The authors of ‘Pine Grove’ explain that after Charles Kasper’s death, Fred, with his wife Annie, their children (a daughter, Letitia … known as Lettie, and a son, Malcolm) together with Fred’s sister Maggie, lived at Pine Grove until the property was sold in 1927. It seems that at that time, the overall land area was about 160 acres. The property then passed through a succession of successive owners. In 1977 the acre of waterfront land upon which the presently existing homestead stands was sold by the Brown family to Rob Harvey. In the early 1980s, the Harvey property and business passed to the Martin family, at which time the name of the property was changed to ‘Tide Farm’. In 1985, the Martins augmented this acreage by buying c.12 acres from the Brown family. In April 2014, the wheel of ownership came full circle when the ‘Pine Grove Trust’ (under the guidance of Kasper family descendants Greg and Geraldine Kasper ) purchased the property. We have not verified any of the information disclosed on this table. We were given to understand that the original Pine Grove land area amounted to 12 acres. Given that, in 1995, Kasper interests already held one acre, we wondered whether the 1995 land area acquired was perhaps only 11 acres. Among the other things we learned while researching and compiling this vignette was the fact that the Rural Delivery mail service to Mahurangi Heads commenced about 1945. That is when (what is now known as) Ridge Road first was opened … a relatively narrow (clayey) dirt road. An mid-20th century map we saw showed the road, and depicted it as the continuation of Mahurangi East Road, and labelled it as Mahurangi East Road. We’re not sure when the name change to ‘Ridge Road’ occurred. Or perhaps the maps depiction of the road, and its name as shown on it, was a cartographical error: we just don’t know. It’s wonderful to have this record of our family and their interesting and impressive achievements. I’d love to visit the homestead sometime. Kelli Booth Hugh’s Great Grandaughter, my grandpa was Carl and Lynne his daughter is my mother.